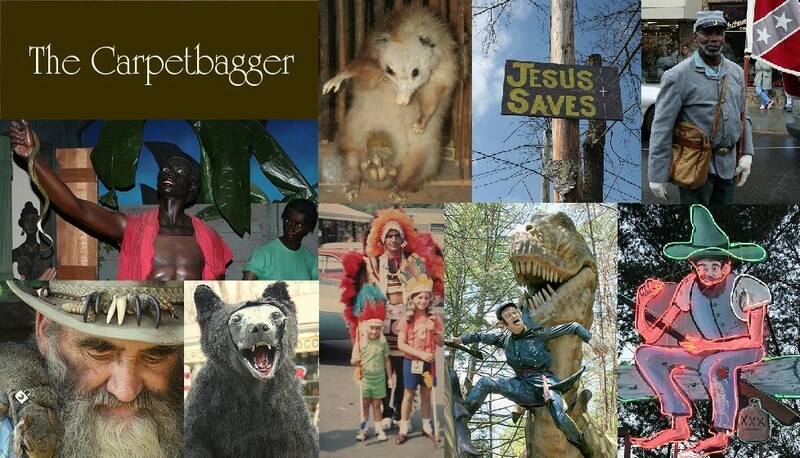 The Carpetbagger: Largest Cross in America! Here in the Mountains we have some really big crosses. Giant aluminum crosses, created by James Potter dot the landscape. However, in Groom, TX sports what is advertized as the largest cross in the Western Hemisphere. 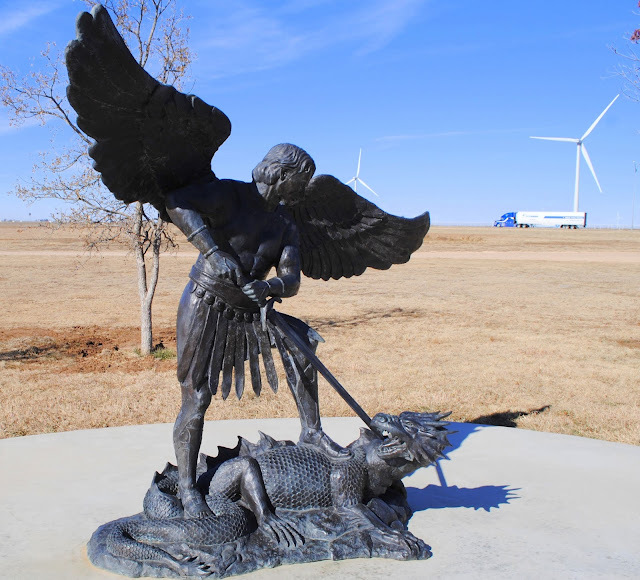 In the flat plains of rural North Texas the cross absolutely towers over everything (except for the several dozen windmills in the vicinity, they are actually a little bit taller). That does not however, take away from the sheer magnitude of this cross. A slightly scrambled highway signs points your way. Unlike my giant grosses you can actually park your car, get out and lay your hands on the massive monument. Surrounding the cross is a series of amazing and somewhat graphic statues chronicling the "stations of the cross", scenes from Jesus' execution. There is also an extremely interesting pro-life monument on the grounds, featuring a crying Jesus. Wait a minute....What's in his hand?